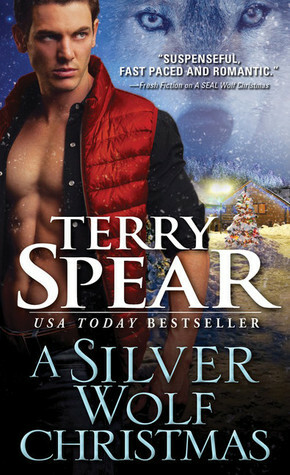 First off, you do not need to read the previous books to enjoy this really good Christmas werewolf romance. There seem to be couples from previous books in the story, but you don't need to know their story to enjoy this one. The three MacTire sisters were a little hard to keep separated at times. Being introduced to them in such quick succession made them all sort of roll into one for me and it took awhile before I was able to separate them into their own individuals. They have very similar personalities, maybe they become more distinct in later books? I did love them. I loved their tenacity in trying to find their aunt, and how loyal they were to each other - with just enough bickering to keep it a little interesting. C.J. was all big bad wolf - in a good way. Willing to anything to prove to Laurel that he's the right wolf for her, he goes out of his way to make her feel at home in Silver Town. Their little adventure/dates were soooo much fun. I wish I could do every single one of them. I could really see their connection. It grew in a very natural way, which can sometimes be hard to find in a romance book. They became friends, then lovers, then more. I loved it. The mystery surrounding the inn, the sisters, and the ghost hunter wasn't so much fun. At times it was a little hard to follow. There were just enough creepy and scary moments to add that nice element to the story though. I really liked the little twist at the end for the ghost story - it was a really nice finishing touch.